Shania Jackson is a mature Christian thinking of opening a Christian coffeehouse near Denver, Colorado. Her husband, Marvin, is open to making a contribution of capital to the business, but he has no interest in participating in its operation or management. Shania’s sister, Kelsey, is a new Christian who has told Shania that she’s been looking for an excuse to get out of the house and would love to be a part of the business. Kelsey’s husband, a non-Christian, opposes his wife’s involvement and has told her that he expects her to remain a stay-at-home mom to their 2 children, ages 13 and 15. Shania’s neighbor, Carlos, is a non-Christian who has also expressed an interest in participating in the business as a way to earn extra income. Carlos thinks the “Christian thing” has potential with all the big churches in the area, including a Mormon temple and a large Kingdom Hall of Jehovah’s Witnesses. In researching the coffee business, Shania comes across a few franchise opportunities, some of which would require her to adopt the franchise name and trade dress, as well as others that would only require her to move into a turn-key facility and agree to purchase a certain volume of product every month for a period of at least 10 years. Both types of franchises offer training for her and any staff she might hire. Before you complete the following steps, see the Discussion Board Forum 3 Case Study; the Discussion Board Forum – Thread and Discussion Board Forum – Replies Grading Rubrics; and the specific requirements of the posts, including length, scholarly sources, and citations. Perform a corporate name search at this hyperlink or website to determine if the name Shania is considering is available for use in the State of Colorado. Also assess whether the name is available as a trademark. Even if the name is available, advise Shania on whether it is a good choice. Explain why or why not. Advise Shania on which of the interested persons she should include in her business, why, and in what role(s). If she chooses not to take in a particular party, what reasons should she give each person, if any? Your analysis must include biblical perspectives, such as biblical considerations of marriage and of business relationships with non-believers. Your thread must also be at least 1,000 words and follow the guidelines outlined in the Student Expectations. 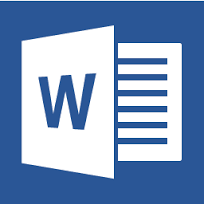 To successfully post your thread, you must both (1) upload a Microsoft Word copy of the thread to the provided SafeAssign assignment link and (2) copy the content of the thread and paste it into the Discussion Board Forum. Do not post attachments in the forum; they will not be accepted or graded. In preparing your replies, consider only the employee issues in question 4. Reply to the threads of 2 classmates who reached a different conclusion than you did. Identify the points of difference in your analyses and explain how your application of the relevant law to the facts of this situation led you to a different conclusion. Then, assume that Shania opened her coffeehouse and became so successful that she has 20 employees and needs to promote 1 of them to be the night shift supervisor. The employee base is quite diverse; in fact, Shania believes she should promote a racial or ethnic minority employee to demonstrate how inclusive her business has become. Explore the legal, ethical, and biblical issues if Shania makes her promotion decision entirely on that basis. What are her options? Each reply must be supported by 3 scholarly sources other than the textbook/course materials. Each reply must be properly cited in current APA format. Kubasek, N. K., Browne, M. N., Barkacs, L., Herron, D., & Dhooge, L. (2016). Biblical worldview edition of dynamic business law. N. J. Kippenhan (Ed.). New York, NY: McGraw Hill Education. Samsung and Apple continue to fight to protect their rights to their intellectual property. Similarly, any company will fight to protect the real, personal, or intellectual property on which its business, revenues, and reputation are based. These same property issues are at stake in the pharmaceutical and biomedical industries where patents on medicines, medical devices, cutting-edge genomic therapies, etc. form much of a company’s livelihood. How should a for-profit corporation balance its business needs with the needs of its customers? Lives depend on products created by some companies. Do these companies have a greater responsibility to work towards benefitting the consumer more than themselves? Look at the issue from a Biblical worldview. How would you respond if you were running such a company? Rarely does one individual’s decision or action create an ethical crisis entirely by itself. More often, someone’s unethical or illegal idea is adopted by other members of the company, and the problem grows within the organization until it erupts in headlines, bad publicity, and sometimes criminal penalties. After the fact, the questions always arise: How did that happen? Did not anyone know it was going on? Why did not someone stop it? Your thread must also bea at least 1,000 words and follow the guidelines outlined in the Student Expectations. Reply to the threads of 2 classmates who offer views different than yours. Identify the points of difference in your analysis and explain how your application of the relevant law to the facts of this situation led you to a different conclusion. Each reply must be supported by 3 scholarly sources other than the textbook/course materials. Each source must be properly cited in current APA format. Submit your thread by 11:59 p.m. (ET) on Friday of Module/Week 2, and submit your replies by 11:59 p.m. (ET) on Friday of Module/Week 3. 30-2 (Key Question) Assume that a hypothetical economy with an MPC of .8 is experiencing severe recession. By how much would government spending have to increase to shift the aggregate demand curve rightward by $25 billion? How large a tax cut would be needed to achieve this same increase in aggregate demand? Why the difference? Determine one possible combination of government spending increases and tax decreases that would accomplish this same goal. 30-3 (Key Question) What are government’s fiscal policy options for ending severe demand-pull inflation? Which of these fiscal policy options do you think might be favored by a person who wants to preserve the size of government? A person who thinks the public sector is too large? How does the ‘ratchet effect’ affect anti-inflationary policy. 30-6 (Key Question) Define the “standardized budget,” explain its significance, and state why it may differ from the “actual budget.” Suppose the full-employment, noninflationary level of real output is GDP3 (not GDP2) in the economy depicted in Figure 30.3. If the economy is operating at GDP2 instead of GDP3, what is the status of its standardized budget? The status of its current fiscal policy? What change in fiscal policy would you recommend? How would you accomplish that in terms of the G and T lines in the figure? 30-10 (Key Question) How do economists distinguish between the absolute and relative sizes of the public debt? Why is the distinction important? Distinguish between refinancing the debt and retiring the debt. How does an internally held public debt differ from an externally held public debt? Contrast the effects of retiring an internally held debt and retiring an externally held debt. 30-13 (Key Question) Trace the cause-and-effect chain through which financing and refinancing of the public debt might affect real interest rates, private investment, the stock of capital, and economic growth. How might investment in public capital and complementarities between public and private capital alter the outcome of the cause-effect chain? 24-3 (Key Question) Why do economists include only final goods in measuring GDP for a particular year? Why don’t they include the value of stocks and bonds sold? Why don’t they include the value of used furniture bought and sold? 24-8 (Key Question) Below is a list of domestic output and national income figures for a given year. All figures are in billions. The questions that follow ask you to determine the major national income measures by both the expenditure and income methods. The results you obtain with the different methods should be the same. Using the above data, determine GDP by both the expenditure and the income approaches. Then determine NDP. Now determine NI: first, by making the required additions and subtractions from GDP; and second, by adding up the types of income and taxes that make up NI. Adjust NI (from part b) as required to obtain PI. Adjust PI (from part c) as required to obtain DI. 24‑11 (Key Question) Suppose that in 1984 the total output in a single-good economy was 7,000 buckets of chicken. Also suppose that in 1984 each bucket of chicken was priced at $10. Finally, assume that in 2000 the price per bucket of chicken was $16 and that 22,000 buckets were purchased. Determine the GDP price index for 1984, using 2000 as the base year. By what percentage did the price level, as measured by this index, rise between 1984 and 2000? Use the two methods listed in Table 24.6 to determine real GDP for 1984 and 2000. 24-12 (Key Question) The following table shows nominal GDP and an appropriate price index for a group of selected years. Compute real GDP. Indicate in each calculation whether you are inflating or deflating the nominal GDP data. Questions 3 and 4: A firm issues a 10-year, $1,000 par value bond with a 10% annual coupon and a required rate of return is 10%. What is the yield to maturity on a 10-year, 9% annual coupon, $1,000 par value bond that sells for $887.00? That sells for $1,134.20? What does a bond selling at a discount or at a premium tell you about the relationship between rd and the bond’s coupon rate? 1 Its 2014 dividend payment is set to force dividends to grow at the long-run growth rate in earnings. 2 It continues the 2013 dividend payout ratio. 3 It uses a pure residual policy with all distributions in the form of dividends (35% of the $7.3 million investment is financed with debt). 4 It employs a regular-dividend-plus-extras policy, with the regular dividend being based on the long-run growth rate and the extra dividend being set according to the residual policy. investment)? Should the firm make the investment? Why or why not? 6 Would the firm’s break-even point increase or decrease if it made the change? 7 What is the return on equity for each firm if the interest rate on current liabilities is12% and the rate on long-term debt is 15%? equity for Firm A and Firm B under these conditions? now, assuming the car’s price changes only with exchange rates? Final Paper Financial Analysis Apple, Inc. BUS 650 Week 6 Final Paper Financial Analysis Apple, Inc. This report should be 15 – 20 pages long excluding title page and reference page(s) using APA 6th edition formatting guidelines. Support your findings and recommendations with evidence from at least five scholarly sources in addition to the annual report; such as the textbook, industry reports, and articles from the Ashford library. Be sure to include links to websites that were used as references or to access company information.